World famous panoramic tour around the majestic Sella Group, right in the hearth of the Dolomites, UNESCO World Heritage. 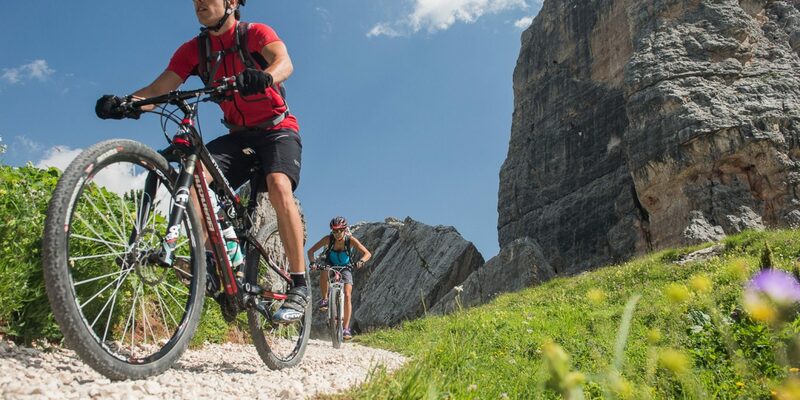 We will ascend by means of lifts and ride across Gardena, Campolongo, Pordoi and Sella Pass. Exciting single tracks, breathtaking descents and unique mountain landscapes will wait for you! Meeting point: 8.30 a.m. Sport Check Point Canazei. Return: about 4.30 p.m.